As if the war-torn Middle East has not had enough, another front, has opened up in Iraq. The self-proclaimed caliph, Abu Bakr Ibrahim al Baghdadi, a long-time jihadist and unchallenged head of ISIS (the Islamic State of Iraq and Syria) has gained new positions in northern Iraq after his troops captured Mosul. After Zumar, he took the town of Sinjar and the oil fields of Ain ​​Zalah and Batma, near the border with Syria, where ISIS already controlled the eastern part of the country. This advance, with its easy conquests, has inspired “the Black Caliph” to proclaim the establishment of an Islamic state (IS). It is a “holy” territory ruled by sharia law, politically “autonomous” and extremely aggressive towards the neighbouring Shi’ite regimes. Such has been the ease of these territorial conquests given the military force used that it has surprised not only the government of Nuri al-Maliki, the Iraqi Shi’ite Prime Minister, but also that of the Kurdish north of the country and, before that the Syrian President al-Assad. Al Baghdadi, of course, has not fallen from the sky like some meteor obliterating everyone and everything. His arrival on the tragic Middle Eastern stage is also the result of a series of imperialist tensions and frictions which, for years now, have been upsetting the political and economic arrangements throughout the region. ISIS was born in Fallujah in Iraq in 2003, just after the Allied entry into Baghdad and the fall of Saddam Hussein. It brought together the anger of at first hundreds, then later thousands, of desperate people, and channelled it into the usual nationalist – religious mechanism. It transformed a band of militants into an efficient army that expanded in northern Iraq, eastern Syria with organisational offshoots in Lebanon and Jordan. All achieved through considerable military and financial support. It is true that, as many observers have pointed out, this army of Islamist fanatics has found strength and cash in raids on villages and in cities it has conquered. The most obvious example is that, after the conquest of Mosul, “the Black Caliph” gave the order to clean out the central bank of the city and all its branches within 50 kilometres. Is it true that the movement draws oil from northern Syria and markets it via truck to Turkey, but the bulk of its funding comes from Saudi Arabia, Qatar and the United Arab Emirates. It is an income stream that is not easy to quantify, but certainly enough to keep an army, to make it efficient and capable of becoming a dangerous loose cannon throughout the Middle East area. The reason for such magnanimity on the part of Saudi Arabia and Co. towards al Baghdadi is the attempt, especially by the regime in Riyadh, to fight Assad's Syria, to weaken Iraq's al-Maliki, both to get rid of hostile opponents, and to extend its supremacy in the area. The aim is to control, through future friendly governments, the oil flows from the Middle East to the Mediterranean that go in an easterly direction. A direction in which Iran, the number one enemy of Riyadh, its religious opponent and oil rival par excellence, operates. The intention of the Saudis, is to fly the religious banner of Sunnism, against the Shi’ite “heretics”, Iraqis, Iranians, or Alawites like Syrian President Bashar al-Assad. This is nothing but an ideological tool with which to fight their own imperialist battle for oil, and financial and political supremacy throughout the area, from the Mediterranean to the Caspian Sea, through the Kurdish areas of Syria, Iraq and Lebanon. Like other jihadist formations, the ISIS is not just a tool in the hands of the Wahabbi Saudi monarchy. Its destabilising action responds to the imperialist logic of Riyadh against Tehran and Damascus, and its military and political power will remain as long as it is functional to that logic. This though does not rule out that the possibility, that if ISIS were to escape this framework and begin to act on its own, as appears to have happened lately, the imperialist balance of power in the region could take new directions. For Iran's President Rohani’s “new course” is the same, but in the opposite direction. Tehran brandishes the banner of Shi’ism exactly like the Saudis do with Sunnism, both conscious that, at this stage, the religious trap, with its devastating corollary of militant fundamentalism, is functional to their imperialist interests. And it does not skimp on aid, funding and political backing to the military creatures which it conjures up from nothing or which grow beneath Iran’s protective cloak. As in previous decades, Saudi Arabia has encouraged the emergence of the Taliban in Afghanistan and Pakistan, al Qaeda, and more recently ISIS in Iraq and Syria, so the regimes that have alternated in power in Iran have supported organisations such as the Hezbollah in Lebanon, and other Shi’ite religious formations as well as HAMAS in Gaza. Its objectives are: 1) bring Iran out of the isolation that it plunged into after Khomeini’s revolution; 2) establish a set of economic, trade and political relations with ‘similar’ countries; 3) put itself forward as a competitor with Saudi Arabia in terms of oil exports; 4) encourage the emergence of politically subordinate regimes in their own image and likeness; 5) defend even with force countries like Iraq and Syria, currently the subject of ISIS, therefore Riyadh’s military attention. Without neglecting the fact that inside and on the edge of this tangled skein, those who pull the strings are, inevitably, the same great imperialist power that for decades have transformed these lands and their inhabitants into theatres of tragedy in order to favour their essential economic and strategic interests. The United States is on the side of Saudi Arabia, its Gulf allies and its military creatures. The USA, after ISIS conquered Mosul, and gained control of a major dam on the River Tigris near the same city, have seen fit to intervene militarily with a couple of bombings against al Baghdadi military positions using F18 fighter-bombers. The official excuse was to provide humanitarian support to refugees, especially Christians, to help with the dropping of food and water. All this is very useful for Obama’s image with the American public at a time when he is low in the polls and lacks consensual support. In reality the USA is supporting the Kurdish Peshmerga against the ISIS army, which is threatening the city of Erbil and the oil of Iraqi Kurdistan, the preserve of a couple of American oil companies. In addition there is also the fact that ISIS is getting out of control of its handlers in Ryadh, much as the Taliban in Afghanistan did with its American puppeteers. This is no small complicating factor in the imperialist scenario we previously sketched out. Russia and China are on the side of Iran and its allied fighters in the various hotspots in the Middle East with the same energy objective but oriented towards the east. In the midst of this is the capitalist barbarism of proxy wars, civil wars, the "revolutions" of a religious nature, the secular "restorations" or vice versa. We must not forget that above all, behind these “games” in the region, behind the usual banners of opposing religious fundamentalisms or so-called secular liberties, are those who serve as cannon fodder for this or that bourgeois oil interest, for this or that imperialist interest. It is always the working class, the dispossessed who, without a revolutionary political guide, inevitably end up falling into the same old tragic trap set by the interests of our class enemy. Though the desperate plight of the Yasiris trapped on Mount Sinjar has now become the main focus of world media attention. This article in my opinion makes some mistakes in understanding the situation. Firstly it isn't true that ISIS is financed by Saudi Arabia. Ofcourse I wouldn't be surprised if a mad nephew of the King would give personal support to ISIS, yet the Kingdom itself wouldn't.The Saudi royal family is behind other islamist groups, who in some occasions actually were even in conflict with ISIS. 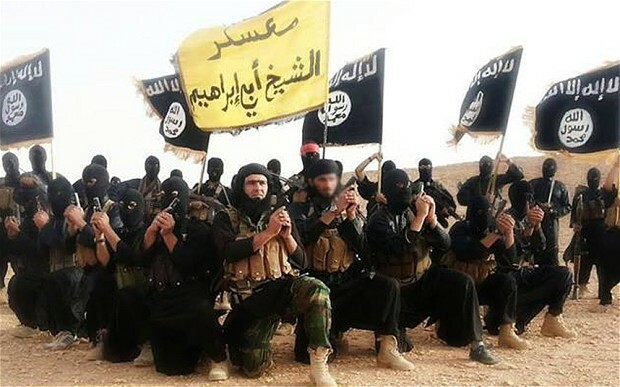 ISIS is more a product of Qatari capital. "Historically, Qatar has been deeply affected by political and economic conditions in neighboring Saudi Arabia, particularly by changes in the Al Saud family’s control over the eastern province of Al Hasa and the movements of bedouin tribes loyal to the Al Saud into and out of Qatar. During Qatar’s pre-independence period, the Al Saud family long regarded Qatar as either tacitly or explicitly under its jurisdiction, and various Qatari leaders maintained a degree of autonomy by balancing relationships with the Al Saud and outside powers, such as the Ottoman and British empires. Similarly, the Al Saud sought to preserve their influence on the Qatari peninsula via relationships with bedouin tribes and prominent Qataris, including leading businessmen and rival members of the ruling Al Thani family. Oil concession negotiations provided the impetus to firmly define the international boundary between Saudi Arabia and Qatar during the mid-20th century, and an agreement was reached in 1965. An armed clash along the Saudi-Qatari border in 1992 led to the temporary suspension of the 1965 border agreement between the two countries. The border was demarcated in 1999 following lengthy consultations via a joint technical committee. In recent years, Saudi-Qatari relations have been cordial but marked by periodic indications of continuing tension. In 1970, Saudi Arabia supported the former Emir, Shaikh Khalifa, in his effort to depose his predecessor. Some Qatari officials accused Saudi Arabia of supporting the unsuccessful attempt in 1996 by dissident following the palace coup that brought his son Hamad, the current Emir, to power. From the mid-1990s until recently, differences between the two capitals frequently have been aired in state affiliated media: Al Jazeera’s treatment of Saudi Arabia in its programming proved to be the most significant point of public contention between the two regimes. Saudi Arabia withdrew its ambassador from Doha in September 2002 in protest of an Al Jazeera program that criticized the kingdom’s founder, King Abdul Aziz Al Saud. Similarly, Saudi-owned media outlets in London have frequently criticized Qatar’s foreign policy and questioned the Qatari government’s positions on issues of pan-Arab importance. In October 2006, Qatar announced plans to launch a Doha-based Arabic newspaper that is expected to compete with the dominant Saudi-backed regional newspapers based in London. _Differences between the two governments at times have moved beyond rhetoric, such as in July_ 2006 when the Saudi Arabian embassy in the United Arab Emirates faxed a notice to financial 2006 when the Saudi Arabian embassy in the United Arab Emirates faxed a notice to financial backers of the $3.5 billion Dolphin undersea natural gas pipeline project objecting to construction of the link between Qatar and the United Arab Emirates. The Saudi notice reportedly claimed that the pipeline would pass through Saudi territorial waters without Saudi approval. Qatari and Emirati officials downplayed the reports and stated their expectation that the project would not be delayed. Many observers interpreted the step as an indication that Saudi Arabia may have been trying to reassert its historically dominant role in relations among the smaller Gulf states and to underscore. and territorial water claims, some of which have been questioned by its boundary sources in the UAE. (The pipeline was inaugurated and has begun shipping gas.) Prior tension between Qatar and Saudi Arabia disrupted plans for a similar pipeline to link Qatar with Kuwait. _A September 2007 visit to Riyadh by the Qatari Emir has opened a process of apparent Saudi Qatari rapprochement. In December 2007, King Abdullah bin Abdulaziz visited Doha for the GCC summit and Saudi Arabia announced plans to return its ambassador to Qatar"._ What happend in the last 6 years? In my opinion the struggle between Qatar and Saudi Arabia turned to a more regional scale. Indeed Qatar now has more financial and economical instruments, capable of letting it compete with Saudi Arabia. The changing of regimes in Egypt is mainly caused by the ongoing struggle between the two sides. If Qatar still has peaceful relations with Saudi Arabia and USA it is mostly because of their common interest in the Gulf against Iran, yet they don't share the same strategies and interests. The war in Libya was organized by Qatar together with France without minding to involve the USA. This explains why the USA financed an ex-general of Gheddafi's regime lately, in the attempt to gain control over a Libya that served only other power's interests... Libya was a military base for Qatar's militias in Syria and Iraq. Qatar has spared no expense. Its television network, Al Jazeera, has flooded the Arab world and beyond with constant propaganda in favour of Morsi. It has already heavily bankrolled his regime in financial terms, since the rich emirate had hoped to do a type of tourist-commercial business with it. Qatar had already announced (January 2013) a credit of $2.5 billion for the Mansour government installed by the military regime, identifying it as the ideal vehicle for their financial investments. This credit is due to be followed up with another of the same size, but the most important aspect was that the small Gulf country with the large oil revenues had already struck up the possibility of doing business with the Morsi government, to the Pharaonic tune of 200 billion dollars, according to which Qatar would be guaranteed the economic management of the most important archaeological sites in Egypt for five years including, of course, the Pyramids, Luxor, and the Valley of the Kings and Queens. The attitude of Saudi Arabia is much more complex. According to the information provided by the Saudi agency, SPA, the Saudi King, Abdullah, has decided to send the new military-backed regime an interest-free payment to the Egyptian Central Bank for two billion dollars, a grant of a billion dollars, plus two billion dollars in the form of oil and gas supplies. In a recent statement, just after the seizure of power by the army, the Saudi Finance Minister Ibrahim al Asaph, told the SPA agency that the decision to help Egypt was taken by King Abdullah to economically support Egypt at a time of particular political and economic weakness. On the other hand, Saudi Arabia has never made any secret of its satisfaction with the fall of Morsi. Perfect. So after all it was a great idea to write a comment, this made the point even clearer. Thank you for your detailed reply Cleishbotham.